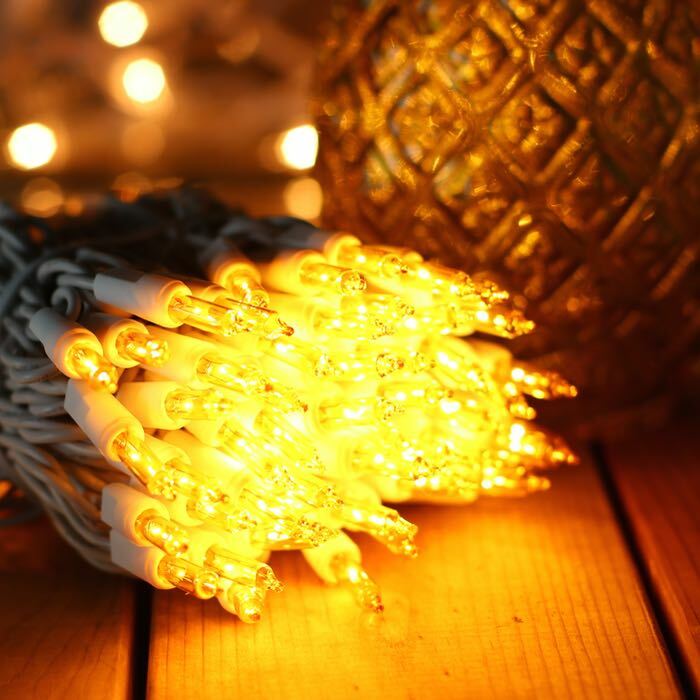 These lovely incandescent yellow Christmas lights will be a great addition to your Christmas light closet. Doesn't everyone have a Christmas light stash? Each string of these yellow mini lights has 50 bulbs and is made of 22 gauge wire. A male and female plug on each string works in any standard household outlet. Remember that you can run up to 10 sets of these lights in a series before adding a second extension cord.